With versatile built-in functions and advanced yet user friendly features, Brother sewing machines are perfect for anyone looking for increased productivity coupled with convenience. While more experienced sewers love the state of the art features that allow them to give free reign to their imagination, the user friendliness makes these machines easy for novices to handle too. In addition, the shadow-free lighting and extra roomy workspaces make Brother sewing machines much loved by quilters and crafters alike. 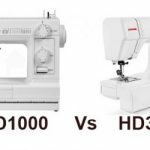 With premium attributes, exquisite workmanship and dedication to perfection have catapulted the Brother line of sewing machines have continually dominated the market since they were established in 1908. Launched as Yasui Sewing Machine Co.in 1908, Brother sewing machines were part of a wave of cheap, sturdy imports to the US in the 1950s. The first product that was introduced was a machine that only did chain-stitch sewing and was used for manufacturing straw hats. Interestingly, in keeping with the times when women were the primary users of sewing machines, the name that was first considered was “Sister”. 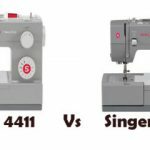 However, the name was already registered as a sewing machine brand name. The name “Brother” was later chosen to reflect the strong family ties between the founders, Masayoshi Yasui and Jitsuichi. 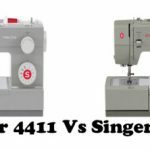 Brother sewing machine prices vary widely depending upon the features offered by that particular model. 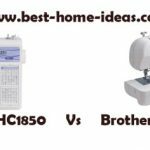 Whether you are looking for a top of the line Brother sewing machine or a more basic model, you are sure to find what you are looking for at Amazon.com. Consider these two best selling models: the Brother CS6000i is more suited for beginners whereas for a slightly higher price, the Brother LB6800PRW is a great choice for veteran sewers. 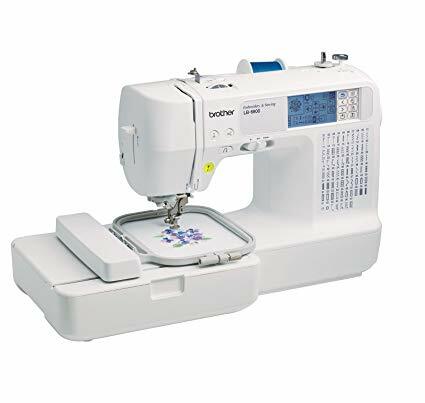 The Brother CS6000i is a lightweight, computerized sewing machine with an array of easy to use features including auto threading, auto-set drop-in bobbin, tension control bobbin and assorted snap-on presser feet. All functions are controlled by a user friendly LCD display that allows computerized stitch selection. All you need to do is select the stitch you want to sew and the machine does the rest. The 60 built in stitches range from utility and heirloom to decorating, quilting and 7 styles of 1-step buttonholes. The free arm makes it easy to sew cuffs and sleeves and the large extension table is great for sewing larger projects such as quilts and table cloths. At less than $200, the Brother CS6000i offers you great value for money. 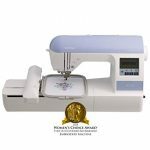 At a little over $400, the Brother LB6800PRW is at the higher price range but with 67 Built in sewing stitches; 120 frame pattern combinations, 5 monogramming fonts and 70 built-in embroidery designs, it is well worth it for the serious sewer. Some of the other innovative features this machine offers include an electronic variable speed control that allows you to select a sewing speed that you are comfortable with, computer connectivity that allows you to transfer embroidery patterns directly from your computer in addition to availing of future upgrades. This machine comes with a 25-year limited warranty.